Keynote Lecture: SILS: where are we? Learning objectives: SILS is the next step forward in the evolution of minimally-invasive surgery towards the natural orifice approach. This technique is technically demanding, however, increased colorectal surgeons experience in advanced laparoscopic procedures together with specifically designed commercially available devices and instruments provide an opportunity to progress. In this presentation you should learn how to: define terminology and technique of SILS; valuate the feasibility and safety; identify the potential advantages of SILS over standard laparoscopic colorectal surgery; analyze the morbidity; evaluate the results of SILS. Since 2007, Dr Khaikin has been a staff colorectal surgeon at Sheba Medical Center in Tel-Hashomer, the largest and the most recognized academic medical center in Israel which is also affiliated with the Tel-Aviv University Sackler School of Medicine. He completed his residency in general surgery at Sheba Medical Center in Tel-Hashomer, Israel, in 2002 and an AGME-accredited residency in colon and rectal surgery at Cleveland Clinic Florida in 2007. Dr Khaikin’s interests include minimally-invasive and robotic colon and rectal cancer surgery, pouch and sphincter-preserving operations, complex and reoperative cancer surgery, abdominal, pelvic and perineal reconstructions with an emphasis on minimally-invasive techniques. 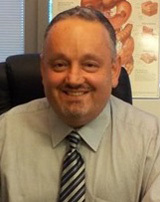 Dr Khaikin is a pioneer in laparoscopic and robotic single incision colorectal surgery in Israel as well as laparoscopic-assisted transvaginal colon and rectal resections (hybrid NOTES), and transanal minimally-invasive surgery (TAMIS). He is a leading robotic colorectal surgeon in Israel. Dr Khaikin is a member of the American Society of Colon and Rectal Surgeons.